Among the revelations this week about President Trump’s former campaign manager Paul Manafort, indicted Monday on 12 counts, including conspiracy against the United States, was the fact that he held multiple passports and had apparently applied for many more over the last decade. How unusual is that? State Department officials declined to discuss the specifics of Manafort's situation, but department policy dictates "that no person shall bear or be in possession of more than one valid or potentially valid passport of the same type (regular, official, diplomatic, no-fee regular, or passport card) at any time, unless authorized by the Department of State." Requests for exceptions are "reviewed on a case-by-case basis." 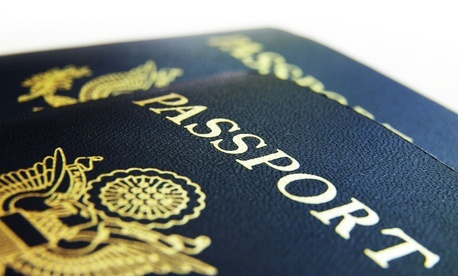 According to a former career diplomat familiar with passport controls, frequent travelers sometimes require a second passport, which would be issued for a limited time if their primary passport is being held by an embassy awaiting a visa. Government employees often hold diplomatic passports in addition to their personal passports. Additionally, all passports have unique numbers, the former diplomat said. Nonetheless, it is unusual for a private citizen to hold three passports. And it’s “very unusual” for an individual to apply for 10 passports over a 10-year period. “Anybody’s who’s doing that is going to be flagged” for potential fraud, the former diplomat said. Besides a heavy travel schedule, another reason an individual may require a second passport is that some Middle Eastern countries won’t accept visitors whose passports contain stamps or visas from Israel, although Israel is aware of this issue and offers visitors the option of not having their passports stamped. This story was updated with information from the State Department.